#10. 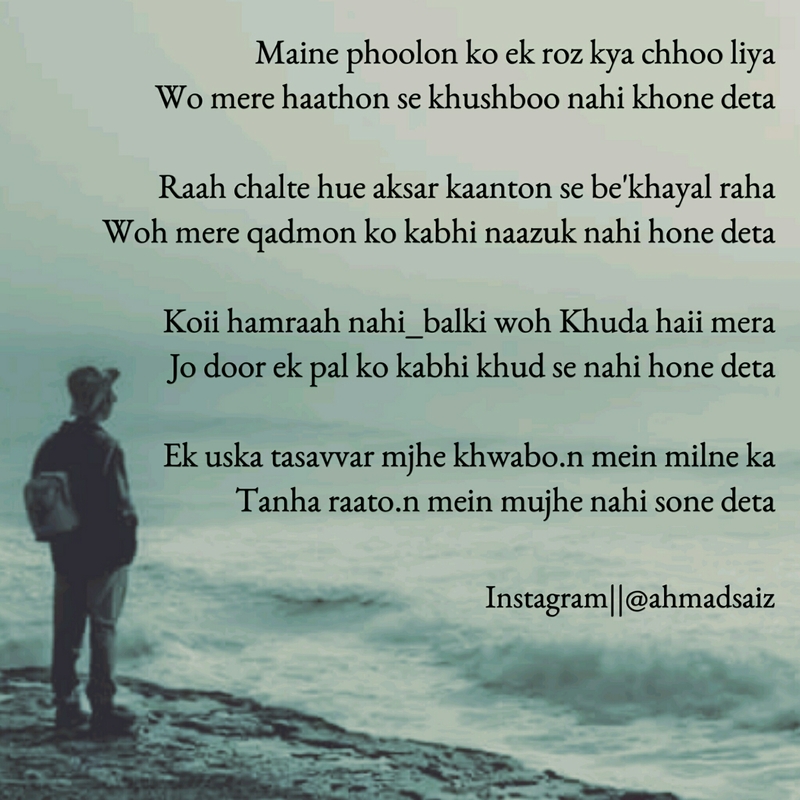 Maine phoolo.n ko ek roz kya chhu kiya-Andaaz e Bayaan – I'm Here; Right Here. I will be more than pleased to see you visiting my site….I’ve some poetry,..Iqbal,,,tears and more to share!! Anything written for the Lord eventually turns into a greater good gradually. I’ll surely check out your blog and review your posts too. Haven’t heard from you for so long now. How has been life? And studies and blogging? What about you, Sir? How’s everything? Good to know about your resolutions. Keep working great things and doing wonders. All the best writing. I’m currently in my final year of engineering, so king of rugged by the various ongoing. Planning to come back to my blogging ways soon.